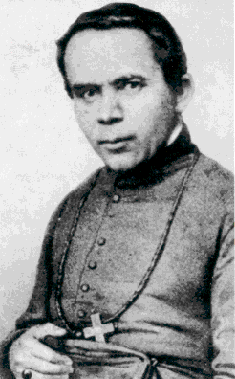 St. John Neumann was born in Bohemia, 1811. As a young man he traveled to New York and was ordained in 1836. He became a Redemptorist priest in 1847. As Bishop of Philadelphia 1852-1860 he established the first diocesan Catholic school system in the United States. Canonized in 1977, he is the first male American saint to be so recognized.